Water disinfection is the deactivation, removal or killing of pathogens in order to avoid their growth and reproduction. 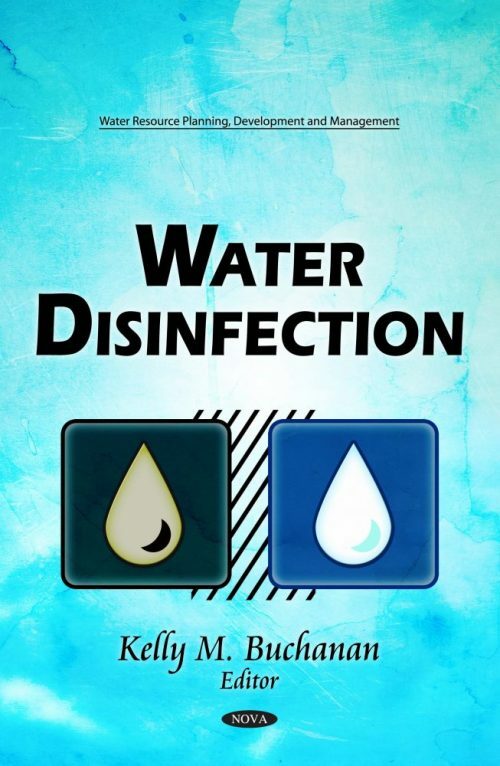 If disinfection is not achieved, diseases such as typhoid and paratyphoid enteric fevers, cholera, hepatitis and diarrhea can alter human health. Chlorination is the most commonly used disinfection method currently used, but chlorine compounds react with substances present in water, such as amino acids, ammonia, organic matter, iron, and manganese. The result of such reactions are an extensive range of disinfection by-products (DBPs) like trihalomethanes (THMs), haloacetic acids (HAAs), chlorophenols and chloramines. These DBPs could cause human health problems, endanger aquatic life and stay in the environment for long periods. This book presents current research in the study of water disinfection.